Ah, pizza. 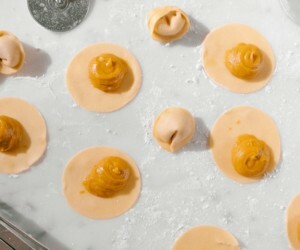 It doesn’t matter if we’re having it delivered right to our doorstep, or pigging out on a fresh one at a cool new hangout — our love for the Italian food classic is deep (too deep, in fact.) Four-cheese, Neapolitan, Hawaiian, pepperoni, or juicy grilled chicken – no matter what toppings or flavours you like, there’s something truly superlative on this extensive list. Make like a Ninja Turtle and have a slice. 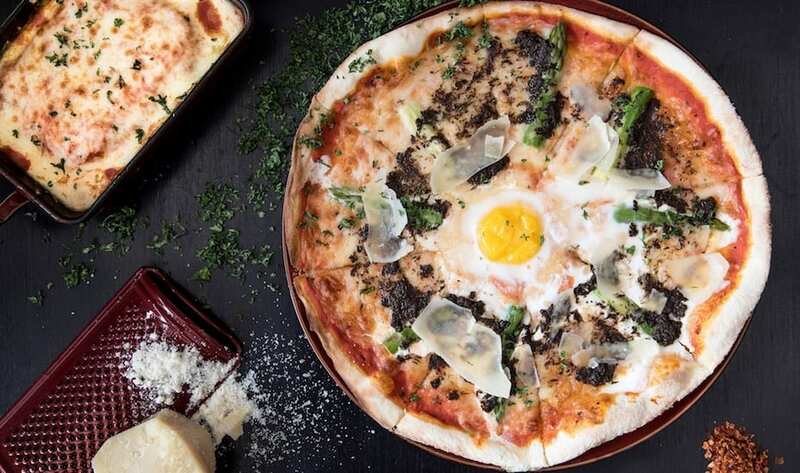 If truffles make you weak, then you must have the La Nonna Signature Pizza (tomato, mozzarella, parmesan, asparagus, egg and black truffle), a sheer truffle blasphemy. The quality of the crust at La Nonna also deserves special mention: light and crispy all around. Tucked in Ann Siang Road, Blue Label’s got it right in the bag with robust flavours like The Dalai Shawarma, a sumac crust topped with lamb shawarma, fried chickpeas, garlic yogurt and mint and the Umami Bomb – shiitakes, spinach, anchovy, sprinkled with goat’s cheese on a cornmeal crust. Traditionalists can go for The Original Famous, a five-cheese blend with a tomato base garnished with fresh basil. And be sure to stay for dessert! We hear that ‘Grandma’s carrot cake’ is a must-try. Cibo Italiano is the ‘good vibes only’ kinda resto where friends can hang out and vibe hard. 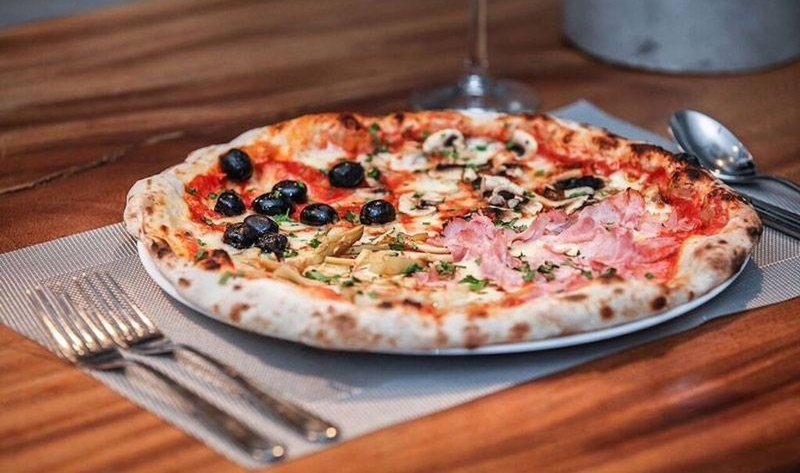 They serve up a mix of Italian grub – cold cuts, cheese platters and pastas but the pizzas sit front and centre. It’s also touted as the only negozzio (marketplace) and ristorante in Singapore so you can purchase imported food, oils and dressings, dried and tinned food, wine and liquor. 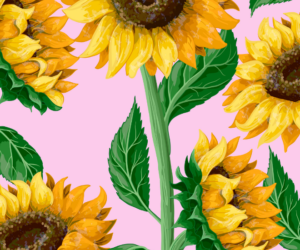 A heap of truffle fries (that could feed a village), breakfast and brunch options, pastas, dessert that’ll satisfy all sweet tooths and gourmet pizza? What else can’t these guys do? We were craving hard for pizza while working on this guide (you know, occupational hazards and all) so we just had to order a pie. And boy were we satisfied. We had the Winter Salami Pizza (Hungarian winter salami of szeged, with magalista pork, and a base of mozzarella, cheddar and bologna scamorza cheese) and we must say, it’s our new fave. Bonus points for the chilli oil that comes with the pizza, and the surprise chocolate biscuits! 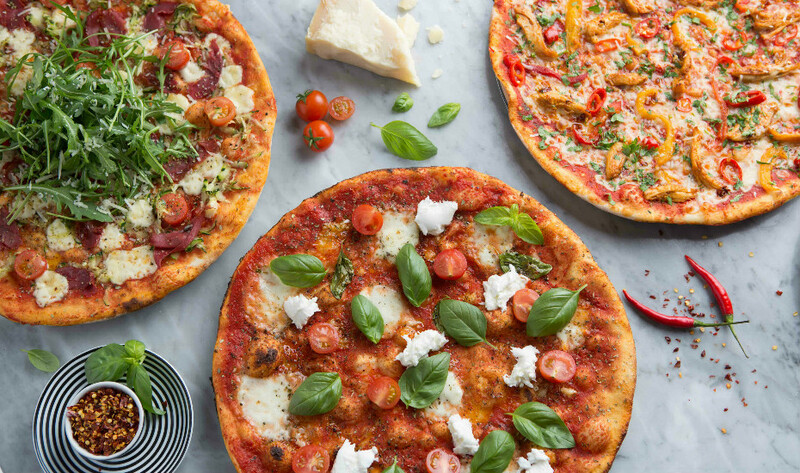 The pizzas at Da Paolo Pizza Bar in Chip Bee Gardens are thin, crispy – and best of all – loaded with heaps of your favourite toppings. Plus, they’re not too costly and the food arrives pretty fast (10 minutes or so). Our pick: the Bolognese. Extra Virgin Pizza’s ‘Roasted Shrooms’ comes laced with truffle oil — something we find hard to resist. The ‘Pistachio and Pumpkin’ is another popular one to try. If you can’t make the trip to the restaurant, they do delivery around the CBD. 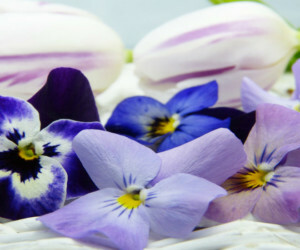 Riccioti is about more than just the Italian culinary experience. The restaurant showcases the other facets of Italian living like modern art, music and design along with its absolutely irresistible Italian cuisine. 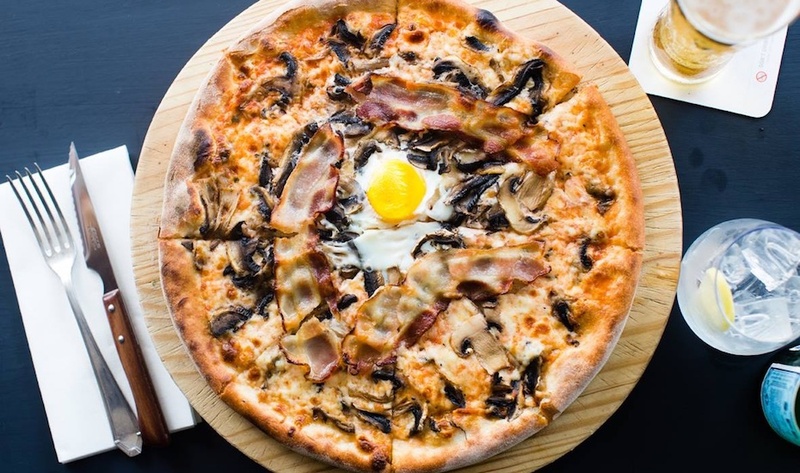 While the pizza menu here isn’t vast, Ricciotti offers rather interesting pizzas like the Tartufo that has black truffles, quail eggs and mushrooms. Speaking of Al Forno, former chef Dario Bonaccorso now has his very own pizzeria after a three-year stint at the pizza stalwart. Dario Pizza & More’s all about the thin, crispy crusts. Bestsellers include the salami and cheese-laden Diavola as well as the Bomba (artichokes, mushrooms, bacon, and ham). 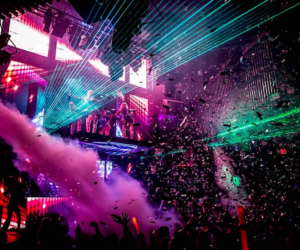 If you’re looking to feed a large group of people without breaking the bank, book a table right now – Peperoni serves pizza in XXL portions (a whopping 21 inches, good for four to six pax). With pies this affordable and delicious, do expect a crowd on the weekends. 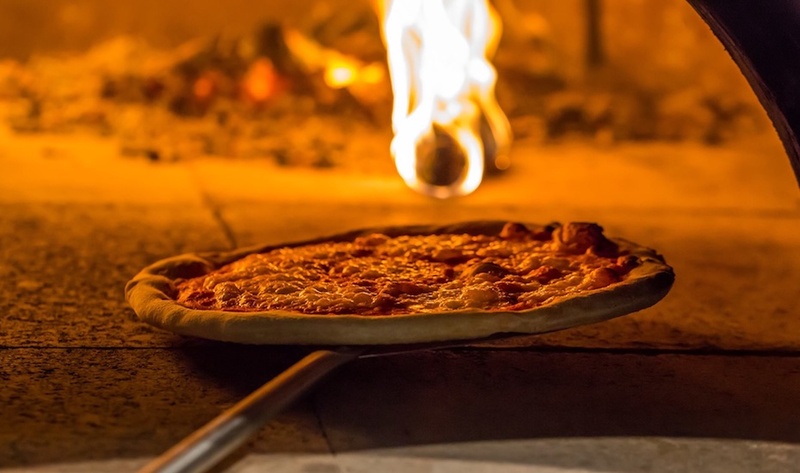 It’s understandable to have some reservations about the authenticity of an Italian trattoria run by a Singaporean Chinese chef, but the proof is in the pie, or rather, his brick-oven-baked pizza. 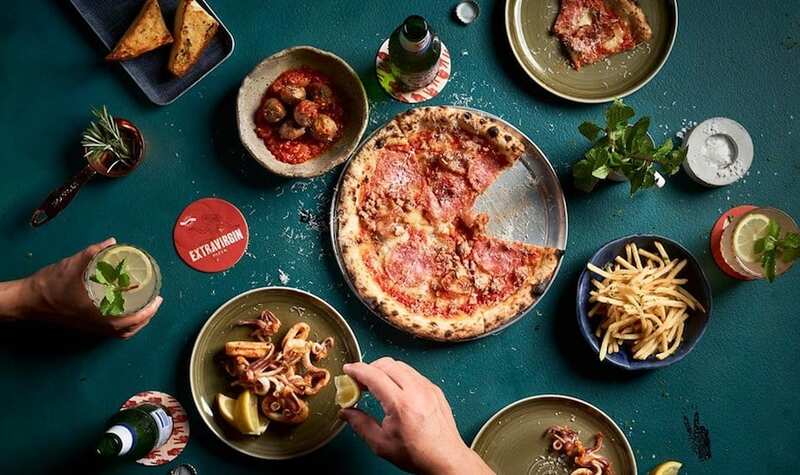 Chef Peter Neo, who might seem familiar to you from his TV appearances, has curated a menu of woodfired pizzas like Americana and the frutti di mare with a generous topping of seafood. This is, without a doubt, the best place to get authentic Italian nosh (at affordable prices) in Seletar. 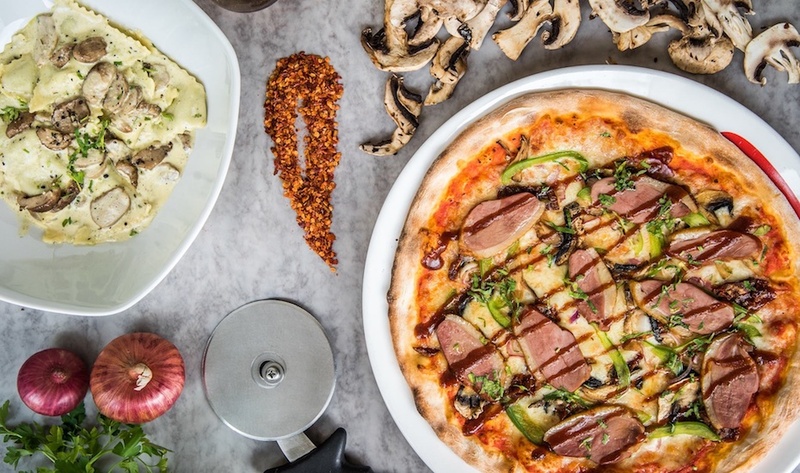 It’s easy to be dismissive of chain restos, but with over 50 years of experience, this casual London pizzeria’s arrival in Singapore is a welcome one. Of course, the selection of toppings is dazzling, but the magic is truly in the hand-kneaded dough made in-house and baked thin. 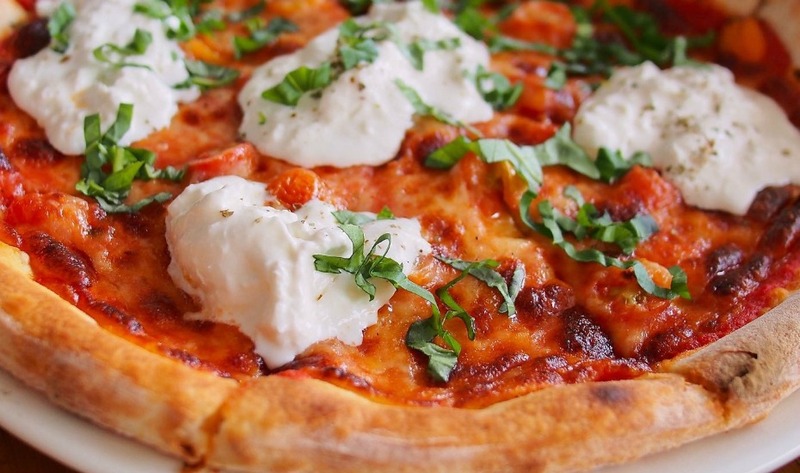 Must-try toppings include the Lava – chock-full of burrata, chilli oil and tomato as well as the classic American with pepperoni, mozzarella and passata. A popular spot among families, Picotin Express offers crowd-pleasers like a tandoori chicken pizza, the Bashkir and a bacon, pepperoni, and honey baked ham-topped pizza, the Banker. After chowing down on the good stuff, the little ones can have a go at mini golf! Spizza is one of your best options for a quick, casual pizza sesh with your mates and with seven locations islandwide, you’re bound to find one nearby. But this isn’t just pizza you resort to when you can’t find better. 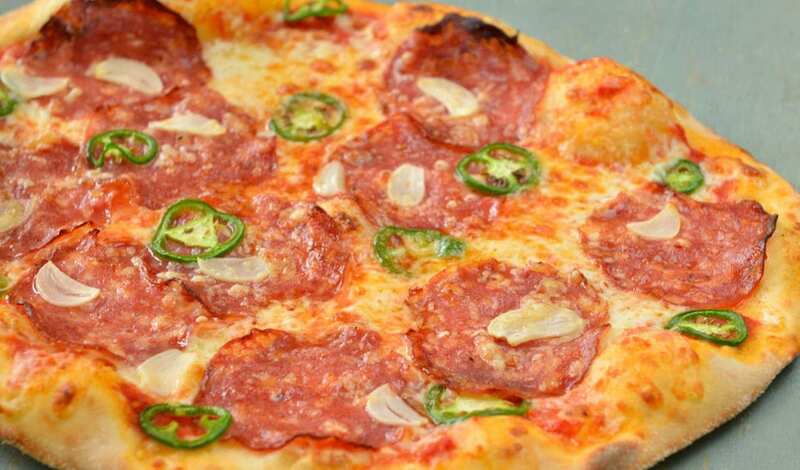 At this homegrown pizza resto, there’s massive variety to choose from. This long-standing dining spot located in the East Coast is famous for its Saporita (cheese, bacon and egg), and Con Carne (cheese, ham, salami, sausage, and minced beef). If you’re not an East-sider, the journey sure is worth it. 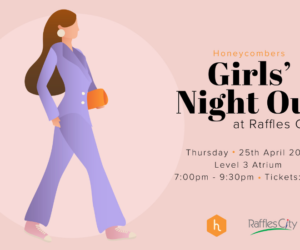 Chef owner Fabio Iannone of Limoncello Pizza & Grill prides himself on bringing the cuisine of the Amalfi Coast to Singapore. The menu features authentic Amalfi-styled cuisine, and that absolutely includes pizzas. 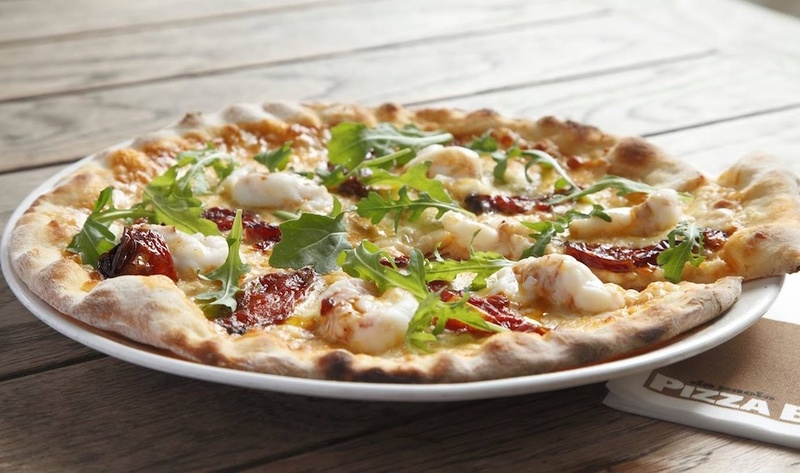 Must-tries include the signature Limoncello pizza with a creamy white base, mozzarella, fresh rocket, porcini and beef tenderloin. Like your seafood? Savour the bounties of the Amalfi coast with the tomato based Frutti di Mare with fresh seafood and mixed parsley. 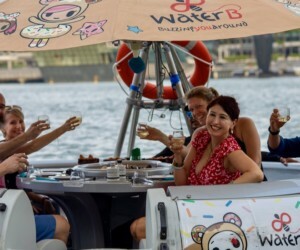 The restaurant also offers private dining experiences for more intimate dinners. Design your own dream pizza at this joint, which offers a wide range of delectable cheeses, homemade sauces, gourmet meats, seafood, and fresh herbs as topping options. Otherwise, go for signatures like The Hangover (tomato sauce, mozzarella, pepperoni, fennel sausage, and parmesan) and Truffle Shuffle (chicken fennel sausage, roasted mushrooms and onions, mozzarella, parmesan and of course, truffle oil) We said it here first: it’s one of the best pizza deliveries we’ve got in Singapore. 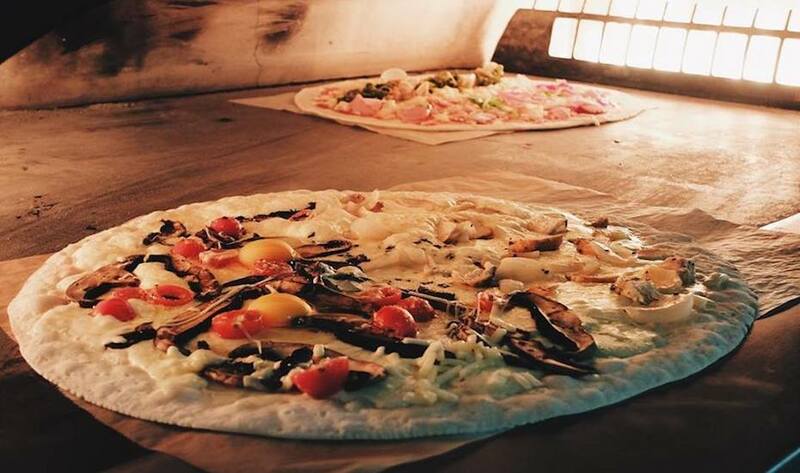 Just a hop, skip, and a jump away from hip ‘hood Haji Lane is Pizza Fabbrica. One of the newer places on the list, this pizza joint’s most-talked-about items would be the Funghi Scarmorza. It features porcini mushrooms, fior di latte, scarmorza, and truffle oil (duh). 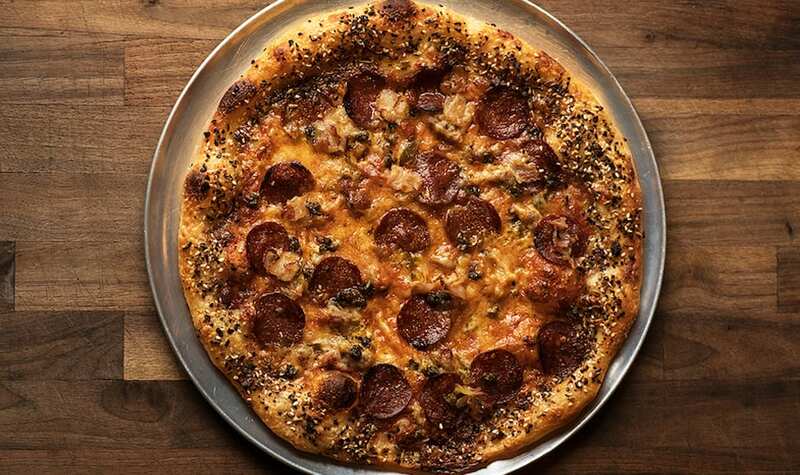 Crust Gourmet Pizza Bar makes some really decadent options. The wagyu beef and marinated tiger prawns is one (psst, it’s garnished with hollandaise sauce), and so is the roast duck with steamed bok choy. Want a slice of an authentic Italian pizza? Look no further than Bella Pizza, which has been serving up Neapolitan slices for more than a decade. Besides the scrumptious thin-crust selections, you can also dig into handmade calzones and Sicilian boat pizza. (Update: Pizzeria Mozza is now closed.) Our top pick shares the space with Osteria Mozza at Marina Bay Sands, but it’s not as posh as the fine-dining space next door. Everything’s kept pretty casual and dimly-lit, which is perfect for date nights. Do try the transcendent buffalo mozzarella that’s slathered with olive tapenade. (Update: O Mamma Mia is now closed.) We’ve had New York-style pizza from the Philippines, so why not authentic Italian by way of Spain? O Mamma Mia Sapore Italiano has opened its first store outside of Spain at Clementi Mall, and the pizzeria cuts no corners. Expect premium ingredients sourced directly from Italy like Boletus mushrooms, cheeses and Italian tomatoes. Even the pizza dough is hand-made in Italy before being shipped over! Can’t get enough of Italian food? 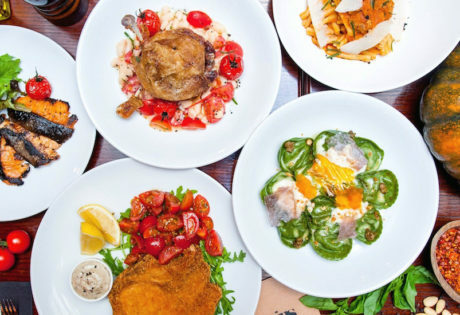 Read our guide on the best Italian restaurants in Singapore.